When the IRS, or any other taxing agency, decides to conduct an audit of a taxpayer, that agency is always gambling that it will recover more money in owed taxes than it expends to conduct the audit. This is true, whether you are an individual with personal income taxes, or a business with income tax, sales tax, or any other type of tax audit. In order to increase its odds of a positive return, the IRS and all of the other tax agencies are taking advantage of “analytics”— the discovery, interpretation, and communication of meaningful patterns in data. Now, more than ever, it is important to make sure that you blend in with other taxpayers, so that you do not stick out from the crowd. The following anecdotes should help show that selecting a competent and experienced tax professional is one of the most important things you can do to avoid an audit. After his company was selected for a sales tax audit by the California Department of Tax and Fee Administration (CDTFA), a local business owner recently asked me how his company was selected for audit. The business owner was convinced that his company was chosen for audit due to the incompetence of its prior tax preparer. This preparer had mistakenly classified all of the company’s “nontaxable sales” as “nontaxable labor”. The company produced and sold goods, and had very little of its income was derived from services. 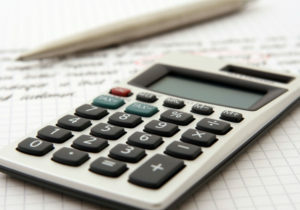 This misclassification did not change any amount of tax that was calculated as being due, but it certainly may have helped the CDTFA select the company for audit, because a company of this type having a high amount of ‘nontaxable labor’ would make it stand out from other similar companies. Even though the error itself was ‘harmless’, in that it did not result in a misstatement of tax, once an audit has begun, it is usually not limited to reviewing only those items that triggered the audit— anything can be subject to review. Ultimately, our client exited the audit with only a trivial adjustment, but the tax bill alone was only one of the costs of the audit—the company and its principal suffered disruptions during the audit, and had to incur legal fees to defend itself in what could have been an avoidable audit. Another of our clients was a partnership comprised of owners who considered themselves to be ‘photographers’. This partnership was selected for audit in several consecutive years before they sought aid from Cardin & Company. In the initial review of the partnership’s taxes, we noted a higher-than-expected “costs of goods sold” for photographers. It seemed to us that a photographer, especially in the digital age, would not incur high costs to produce his or her final product. When we questioned the partners about the costs of goods sold, we learned that the photographers were not just showing up to photoshoots, taking pictures, and sending those products to their client. Rather, this partnership would regularly contract with set designers, make-up artists, costume designers, and exotic animal trainers. In short, this ‘photography partnership’ was actual more akin to a high-end production company. By simply reclassifying the partnership as a “production company”, Cardin & Company helped the partnership be compared to other businesses to which it is most similar — the partnership has not been selected for an audit since. Hopefully, these two anecdotes highlight the importance of selecting a competent and experienced tax professional. Making the proper choice before you file your taxes can substantially reduce your risk of audit, which will allow you to live your life, or run your business with greater peace of mind. If you have been audited, are being audited, or simply want see if we can spot any “red flags” on your business or personal tax returns, call CARDIN & COMPANY today! We are a full-service tax firm, offering bookkeeping, tax preparation, and tax representation services. THIS BLOG IS PUBLISHED FOR INFORMATIONAL PURPOSES ONLY; IS NOT INTENDED AS LEGAL ADVICE; AND DOES NOT FORM AN ATTORNEY-CLIENT RELATIONSHIP.